You don’t steal plans to the Death Star without making the Empire angry. We’ll learn how angry very soon. The Rebellion may have heroes like Jyn Erso and Luke Skywalker. But the Empire has Inferno Squad. After the humiliating theft of the Death Star plans and the resulting destruction of the battle station, the Empire is on the defensive. In response to this stunning defeat, the Imperial Navy has authorized the formation of an elite team of soldiers, known as Inferno Squad. Their mission: infiltrate and eliminate the remnants of Saw Gerrera’s Partisans. Following the death of their leader, the Partisans have carried on his extremist legacy, determined to thwart the Empire — no matter what the cost. Now, Inferno Squad must prove their status as the best of the best and take down the Partisans from within. But as the danger intensifies and the threat of discovery grows, how far will Inferno Squad go to ensure the safety of the Empire? The synopsis has taken me by surprise to some degree. First question: Doesn’t the Empire already have an elite squad of soldiers? I am pretty sure they do, in fact we saw them act as Director Krennic’s bodyguard in Rogue One. Second Question: Doesn’t the Empire have undercover operatives? We know they have an intelligence service and they have undercover operatives (I saw one in A New Hope for sure!). Third question: What is left of Saw Gerrera’s partisan group? Now don’t get me wrong. I really do want to read Star Wars Inferno Squad, but I don’t want it to contradict established lore. 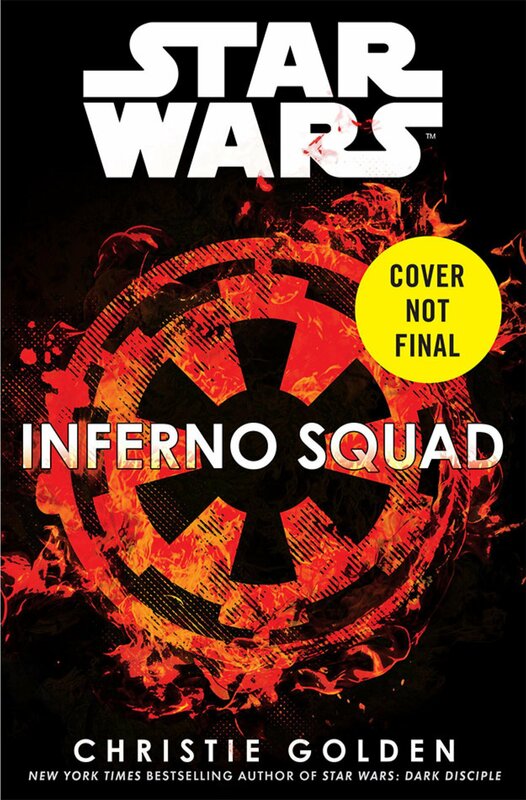 So, we will found out post July 25th 2017 whether Star Wars Inferno Squad can match expectations.